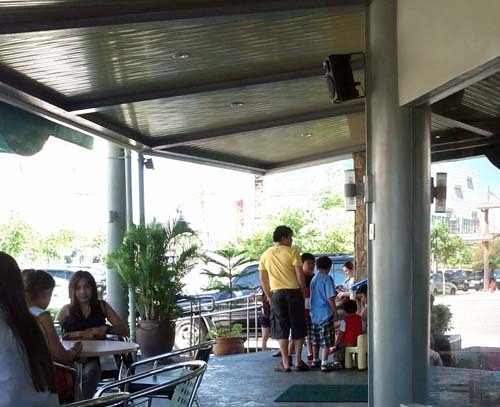 On this lazy weekday holiday afternoon, my wife and I decided to take our kids and have lunch in one of SBMA’s famous food joints. 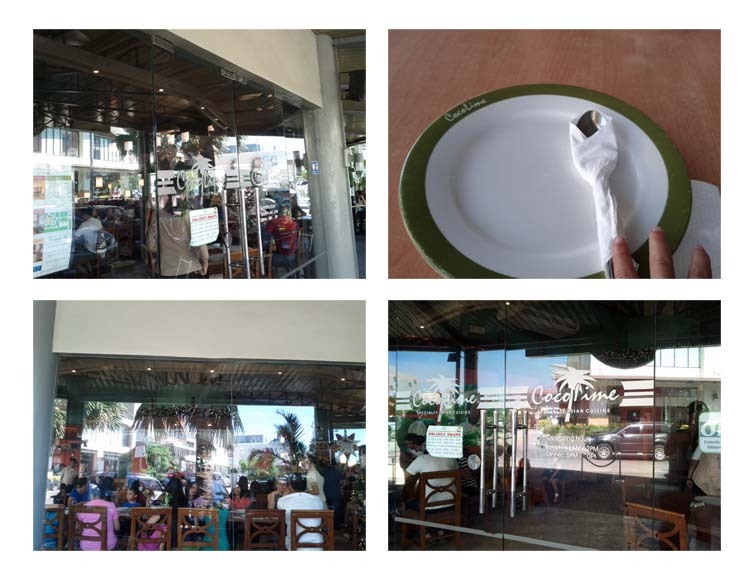 The interiors were very basic but adequate with an Asian/Filipino feel to them; we were seated outside, as the waiting list for dining inside was a bit long. We did enjoy the breeze and it was much more spacious perfect for families with kids, and they also provided a play place for diners with children near where we sat. 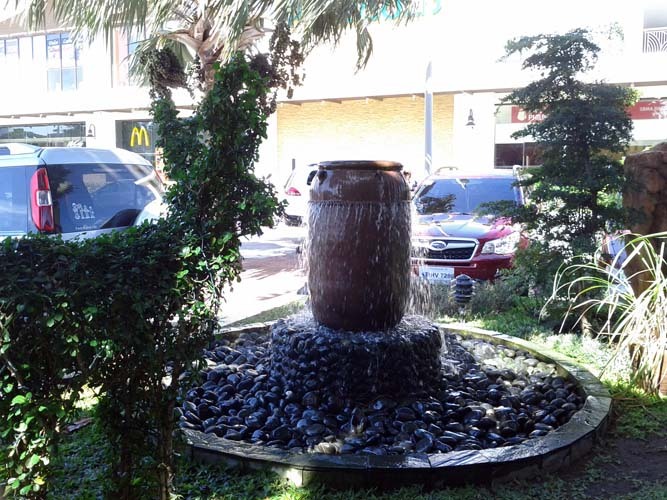 The overall atmosphere was zennish with an emphasis on laid back relaxation, ideal setup for people who wants to escape the stress and tension of city life. The service was really good as our orders came really quick, a few minutes after we placed them, they came out one by one. 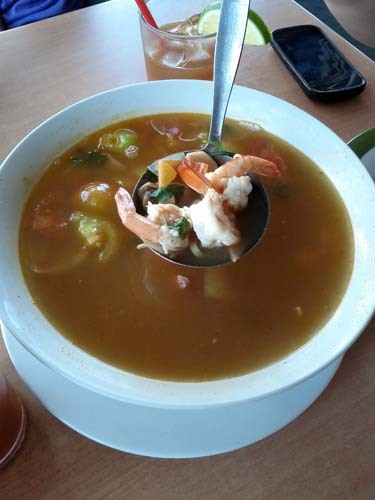 The Hot and Sour Shrimp Soup (Tom Yum) came first, and we started to dig in. The soup base was perfect and they were really generous with the shrimps, there were a lot. Something I liked about the servings was that they did not scrimp on what they gave the diners, probably because the ingredients are cheaper as such it was great value for the money. I like this one; it really comes close to the original. As my wife was craving for something grilled, we ordered two grilled dishes. One was the grilled platter; I was not sure whether we were just that hungry or it was just that good but I think they really did well with the grilling. 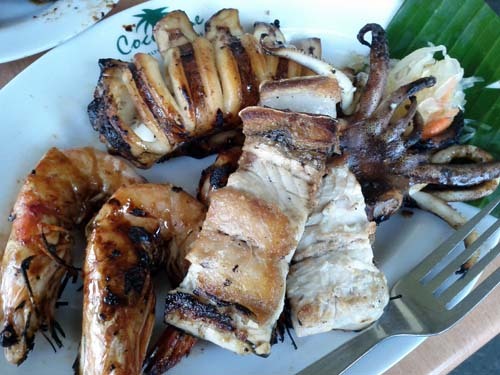 The squid was delectable and huge for a very affordable platter, the shrimps were juicy and the bangus belly was perfect, my daughter loved it. The dipping sauce was great as well; it had this sweet and salty taste, which complemented the grilled dishes. 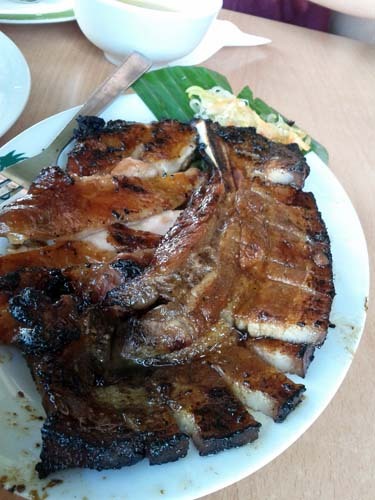 The last dish that we ordered was the Thai Barbeque Chicken and Pork Liempo, consistent with their cooking it was done impeccably. There was no toughness with the meat, and the chicken was sweet and juicy. Thumps up for this combo! 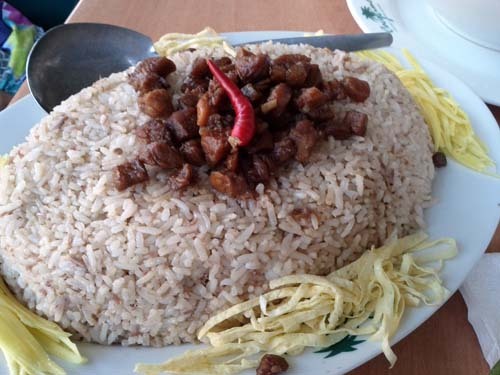 Lastly, the bagoong rice to marry all the things we ordered. Wow! That’s all I have to say, since everything blended to a wonderful fit and the servings were aplenty. I was not disappointed as the rice dish with the bagoong became an instant favorite. Words cannot express how satisfied we were with our random vacation lunch at this home grown restaurant, all I can say is everyone should at least try this once when they visit SBMA. 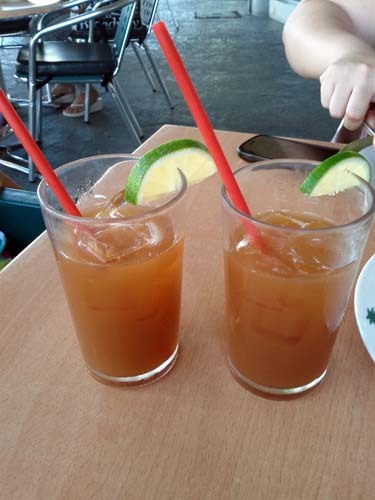 This entry was posted in Asian Dishes, Filipino, Out of Town, Subic and tagged asian, filipino, out of town, subic by manilafoodblog. Bookmark the permalink.